Many alarm company owners have a decent website but they wonder why they have no traffic. Build it and they will come does not apply to websites. 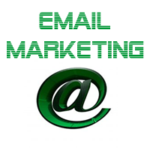 You have to take some action to drive or attract customers to your alarm company website. If you have a website with good web pages already written then you should turn those into online gold by making the content into video. 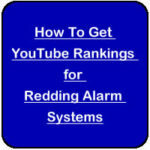 Video brings in better organic rankings faster than any other media. 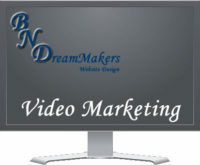 Convert your web pages to video and watch your natural organic rankings soar. I have on a regular basis converted my existing web pages to online videos and consistently outrank the competition. Online video is one of the most effective ways to create a personal connection with your potential clients. It is the next best thing to actually meeting someone in person. This can go a long way in forming the trust and connection that is needed when working with someone that you have never met. Adding video to your website can also increase your visibility on the internet. 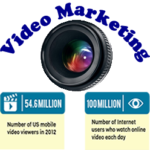 Video Marketing is also one form of online marketing that is somewhat underutilized. Start out your video advertising by creating a welcome video. Place the video on your front page so that your visitors can put a face to the content that they are reading. It does not need to be a long video. A couple of minutes will do the trick. Remember that this is your first impression so it is important. The video will be basically an about me page but do your best to focus on your visitor. This series of videos is meant to show that you know your stuff with you on camera but at a minimum it should not sell anything. There are a lot of videos available on the Internet. The best way to have your video seen is to stay on target. Do not create tags for your video that do not relate to the video. Stay on point and give the viewers what you promised. Whether you are on or off camera will depend on the type of video. You want to be seen when you are sharing your expertise if it does not require extensive documentation. If you are creating a product video or a “how to video” then you can either have yourself in a picture in a picture or just record the audio over the screenshots. How long should the Web Video Be? Your video must hold the attention of the viewer so depending on the content it should usually lean to the short side. As long as you get your point across. If you are shooting an instructional or demo video then longer may be necessary. Just stay on point. How and where to post your video. I use several different free video websites but this can be very time consuming. At a minimum I use YouTube and I always get great results.